Waterworks — Geoff Howell Studio Inc.
Not just a square on the Monopoly board game, Waterworks is also a high-end luxury bathroom fixtures company! 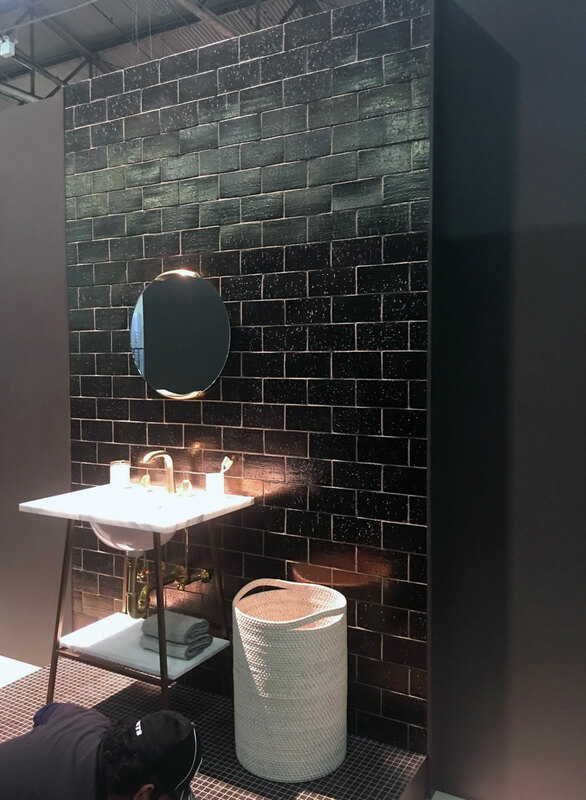 To help them showcase their latest collection at the Architectural Digest Design Show on Pier 60 in Manhattan, we were asked to build an elaborate booth that included lighted 3-d logos, lighted in-set vitrines, lined with their tiles and fixtures as well as other life-sized vignettes. The photos below show the booth near completion.